As the global leader in high performance eyelash extensions, Xtreme Lashes® offers the largest selection of high-performance eyelash extension supplies. 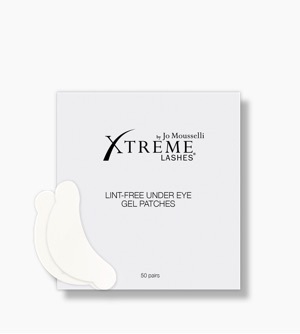 Our under-eye patches are designed exclusively for the Xtreme Lashes brand. Under eye patches are essential for covering the lower lashes during an eyelash extension application. Choosing the right kind of under eye patch is also essential for a relaxing and safe application for the client. 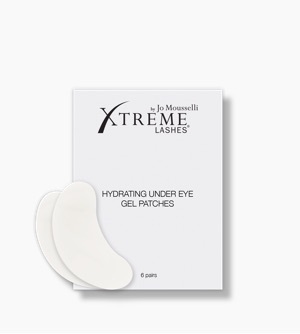 Xtreme Lashes offers 3 types of under eye patches to meet every Lash Stylist and lash client’s needs. Our Silicone Under Eye Patches allow you to cover lower lashes with enhanced ease, speed and control. Flexible, thin, opaque, and self-adhering, these patches provide a more secure, comfortable, and universal fit when compared to traditional under eye gel patches. Using a clinically tested, hypoallergenic silicone, these gel under eye patches are free of other ingredients, making them suitable for all skin types — even sensitive skin. Our Lint-Free Under Eye Gel Patches are multi-tasking gel patches that effectively cover lower lashes while nourishing and conditioning the skin with anti-aging ingredients such as Vitamin E and Aloe Vera. Designed with Flex-Form Technology, these gel patches reposition with ease, yet hold firmly in place on all eye shapes. For a powerful boost of moisture and antioxidants, our Hydrating Under Eye Gel Patches refresh and rejuvenate the under eyes, while diminishing the appearance of wrinkles, fine lines and crow’s feet. With its powerful formulation of hyaluronic acid and Vitamin E, Green Tea, Aloe Vera, intensely hydrate the under eyes to reveal more youthful-looking skin. Explore our entire range of Under Eye Patches and find what’s right for you and your clients. From hypoallergenic to skin nourishing options, the choice is yours. Shop our selection of gel under eye patches or other eyelash extension application supplies now.